10th August. Posted in News. Leading manufacturer of printed and plain labels for the food and drink, industrial, household and personal care sectors, Hamilton Adhesive Labels, has been shortlisted for not one, but two prestigious FlexoTech awards, recognising its technical expertise. The company has been shortlisted for its Crystal London Psychedelic Print label in the Promotional Print category, recognising technical excellence in flexo print produced for promotional purposes. The label is the first of its kind, utilising Hamilton’s leading-edge effect pigments to create an eye-catching multi-dimensional look. Using effect pigments, Hamilton can create anything from a subtle shimmer to glittery sparkle, all with brilliant depth, taking brand communication and sensory experience to new heights with a totally bespoke, premium look. Hamilton has also been shortlisted in the highly competitive Labels (Process) category for its Kenkō Koi Colour Plus koi fish foods label for specialist koi expert Queni Koi. This intricate, high-quality label features traditional Japanese imagery brought to life by Hamilton’s remarkable print quality and augmented using cold foil. Paul Larkin, Operations Director at Hamilton Adhesive Labels, said: “We are passionate about harnessing our expertise to create novel, unique products that are truly memorable and bring real added value to our customers. 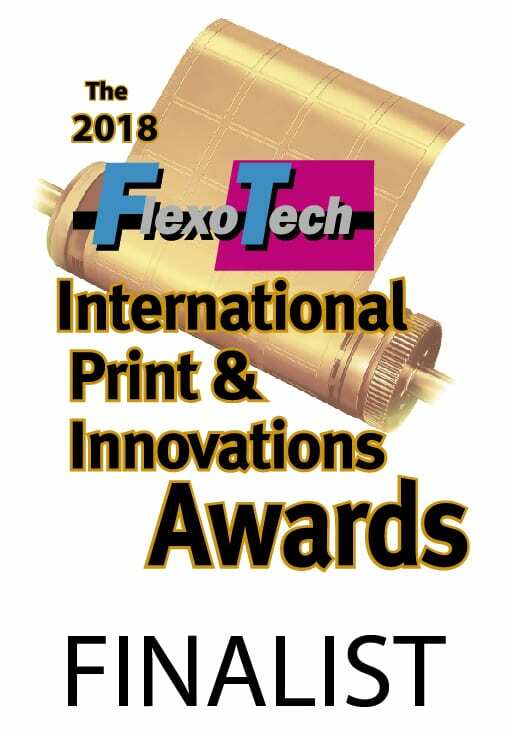 Held annually, the FlexoTech Awards celebrate advancements made in flexo, with an international panel of judges recognising the best work in the industry from across the world. The winners will be announced at a gala dinner on October 10, 2018, at the recently refurbished Royal Lancaster Hotel, London.